This spot welder can be used to weld the nickel, nickel plated steel, nickel plated iron, iron and other alloys, but it can't be used to weld metal including copper and aluminum. The max welding thickness 0.2 mm indicates the thickness range of all alloy it can be weld, for nickel or nickel plated steel, the max range is 0.35 mm. It is not recommended to use at home. 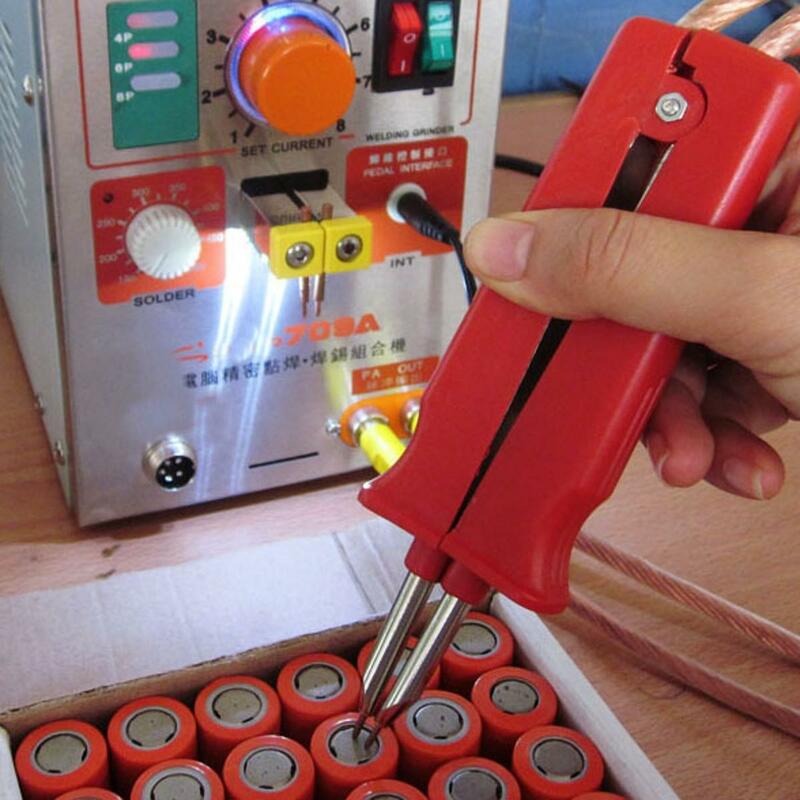 The production, installation, welding of lithium battery or mobile power. Welding distance can be adjusted to 4-10mm. 1. 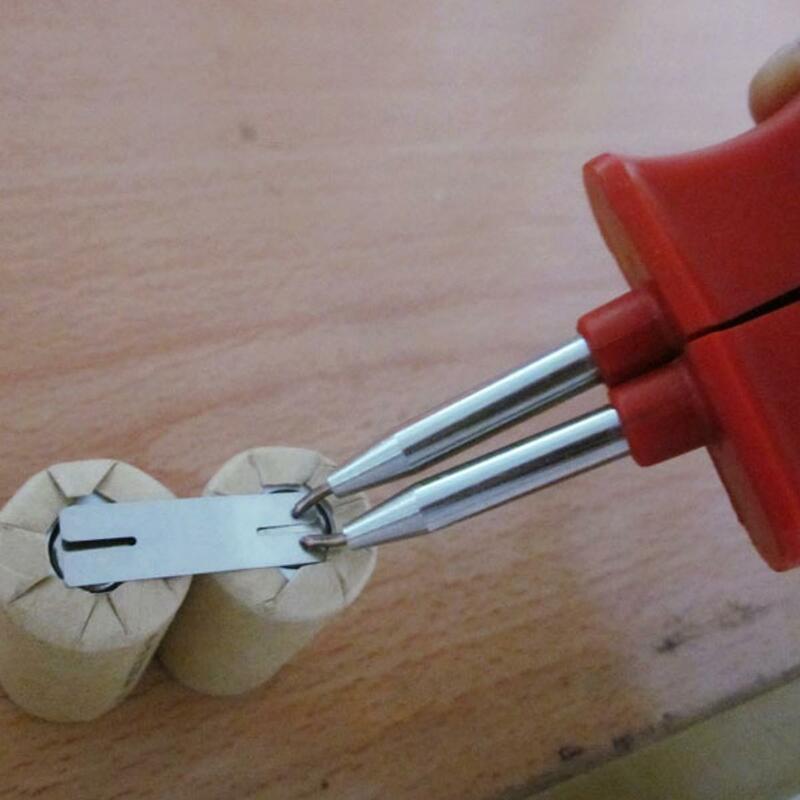 It should be grind the welding pen use fine emery paper before connect the spot welder for prevent oxidation. 2. Using the above method to deal with the copper head of spot welder. 3. Fit the welding pen and welding copper head together by the M4 spanner that should be tighten to keep well conduction. 4. The spot welder plug must insert in one power socket, don’t plug in second socket, otherwise it will lead to electric current cannot supply. It will affect the spot welding. 5. Because the length of copper cable is 0.65mx2,that will reduce pulse welding current, so it must adjust the current about double times. 6. The aluminum alloy snap-in nozzle is φ1.5, after wastage, that must pull out by fixture and change new welding nozzle. It must push down to low-end. 7. To assure quality, that must keep cleaning the oxide the welding nozzle.